A fundraiser for Allied Media Conference Healing Justice Practice Space! Do you have a bum knee? Achey back? Glitchy ankle? Headaches, menstrual cramps, digestive issues, mood swings? 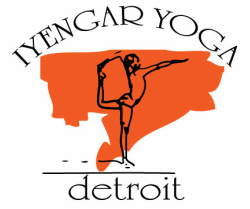 Whatever issues you may be dealing with, come and see what the healing art of Iyengar Yoga can do for you. Drop in anytime during the open house, and we will work with you and give you a short sequence you can take home. Bring a camera and we will take pictures of your poses so you can remember your sequence. Several teachers will be donating their time to ensure individualized attention and provide adjustments. Give what you can and all funds will go to support the amazing Allied Media Conference Healing Justice Practice Space, June 18-21, 2015! HJPS is on the cutting edge of social justice and community healing, committed to making healing practices accessible to all. For 4 days, dozens of healers from North America will convene to provide sessions at no cost to conference attenders. Funds will help cover transportation for healers, who will all be donating their time, for this glorious gathering. Give and receive generously! Bodywork, movement arts, herbalism, meditation, and more will be offered at the conference. Gwi-Seok Hong has been learning Iyengar Yoga therapeutics since 2001 with Lois Steinberg. She has assisted in medical classes at the Iyengar Institute in Pune since 2010. ALL ARE WELCOME! No reservations necessary.